Eighteen-year-old Ahmad Hussein Fawad is an exceptional young man. He has a well-mannered, gentle personality, strong leadership qualities, engages with his cultural and local communities and plays at a representative level in his chosen sport, soccer. A Sports Without Borders grant for equipment and coaching fees helped to re-establish Flemington Eagles soccer club, which went on to win the 2010 North West boys Under 11 Orange competition, remaining undefeated throughout the season. Sports Without Borders has five major sports that are socially inclusive for newly arrived Australians: AFL, Basketball, Cricket, Netball and Soccer. The most popular sports that 15 and over Victorians want to play have been rated in a Herald Sun Article on Monday, June 28, 2010. 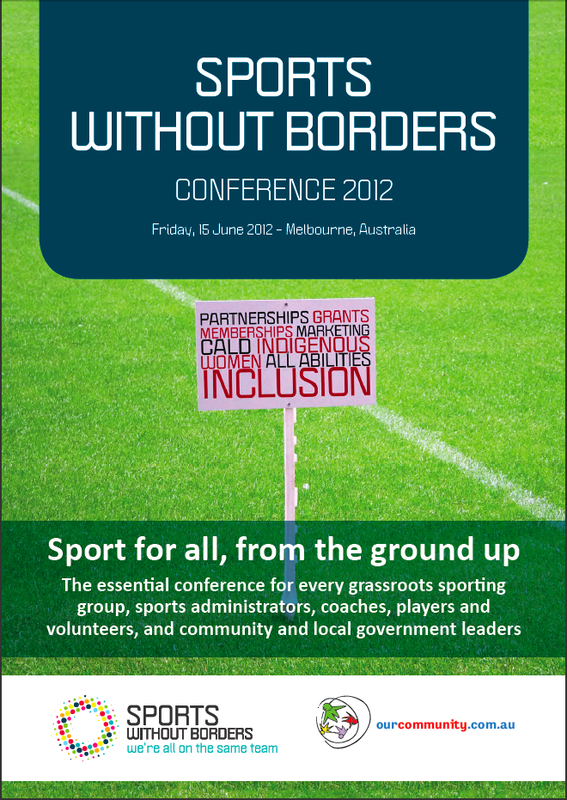 Sports Without Borders Promo VideoProduced by Satchel Media and SBS for Premiers Dinner, March 20, 2010.